Sophie is on her way to scan some documents at the library... but a suspicious character is already using the scanner! When the scan is complete, what will the two of them find? An 8-page black-and-white comic about two girls' fateful first meeting. Slightly NSFW (contains a single censored image... you'll see). 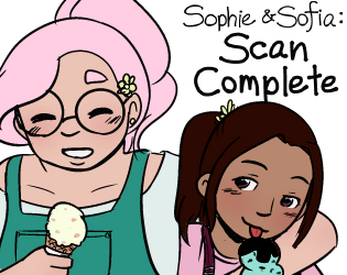 Stay tuned for more of Sophie and Sofia's story, and follow me on twitter for updates!